Solemn memorials are being held in New York, Washington and Pennsylvania to honor the victims of the September 11, 2001 terror attacks. 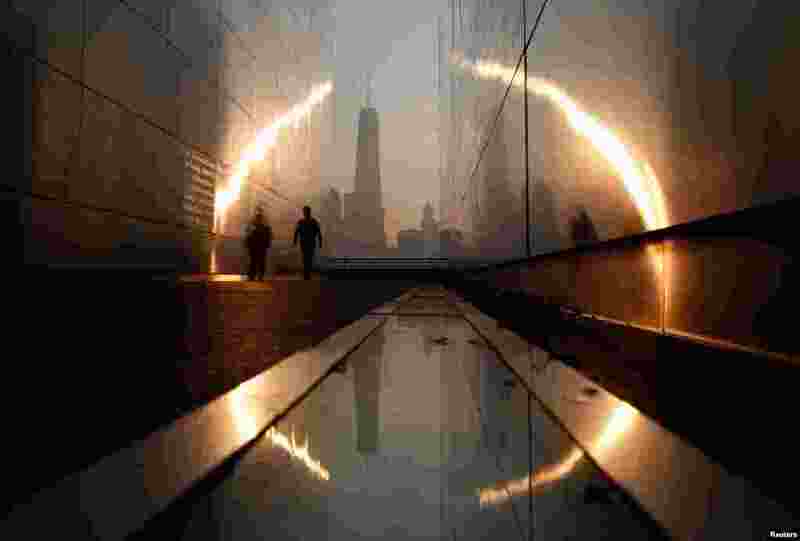 1 A man walks through the 9/11 Empty Sky memorial at sunrise across from New York's Lower Manhattan and One World Trade Center in Liberty State Park in Jersey City, New Jersey, September 11, 2013. 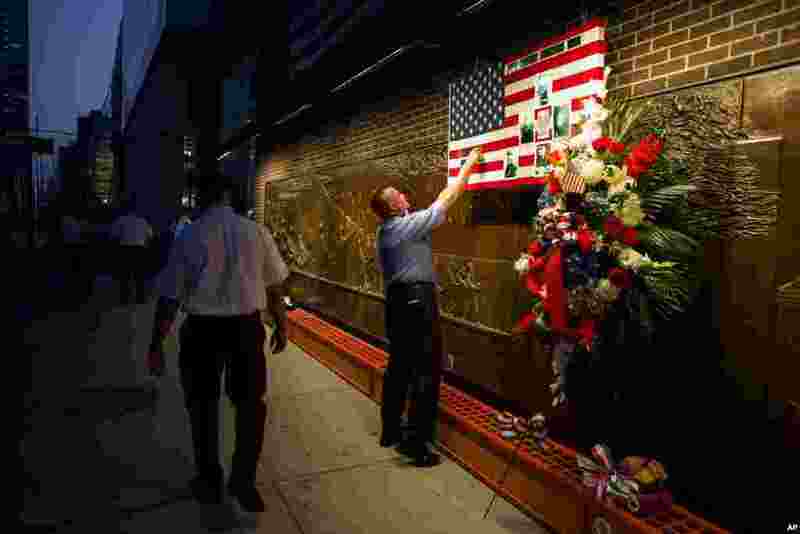 2 FDNY Firefighter Mike Bellantoni of New York prepares a memento at the Firefighter's Memorial adjacent to the World Trade Center, Sept. 11, 2013 before the start of the official ceremonies at the 9/11 Memorial nearby. 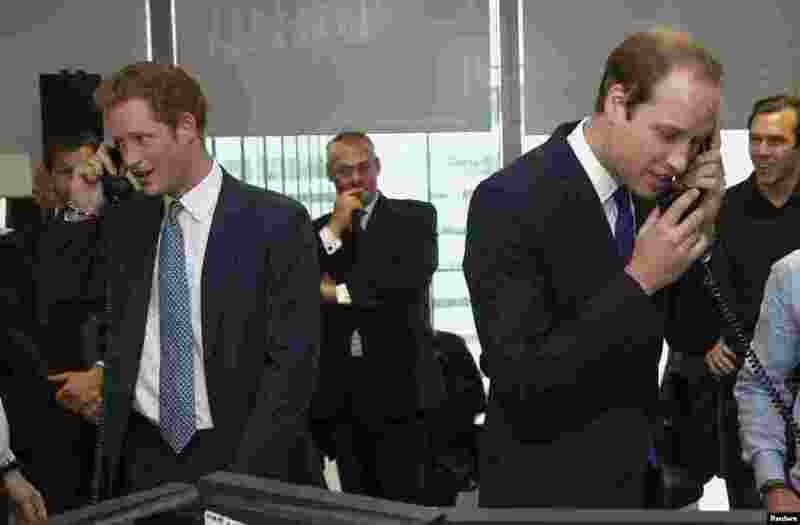 3 Britain's Prince Harry (L) and Prince William (R) take part in a trade on the trading floor of BGC Partners. BGC holds a Charity Day each year to commemorate the 658 employees who lost their lives in the 9/11 attacks on the World Trade Centre in New York. London, September 11, 2013. 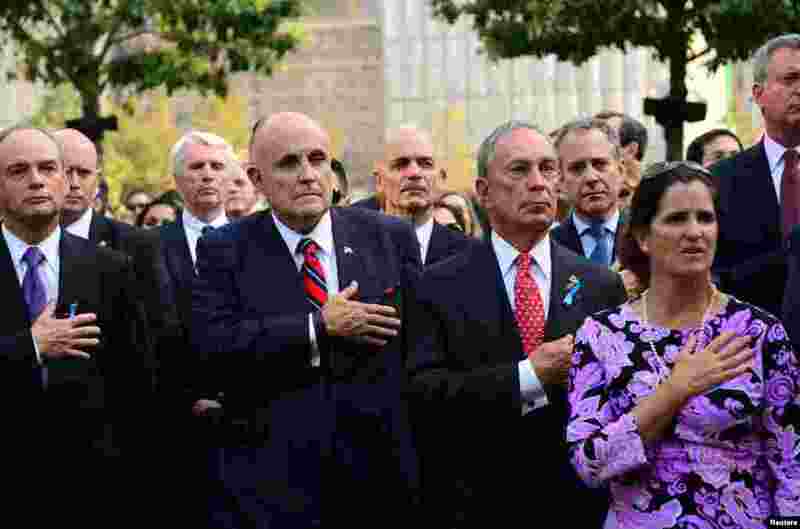 4 Former Mayor Rudy Giuliani (2nd L) and New York City Mayor Michael Bloomberg (2nd R) attend a ceremony at the 9/11 Memorial marking the 12th anniversary of the attacks on the World Trade Center in New York September 11, 2013.